The event is closed - please contact Sheri Kindsvater if you would like to come to check availability. This is a one day mini-retreat at the Calistoga Spa Hot Springs, 1006 Washington Street, Calistoga, CA 94515, (707) 942-6269. We have limited space available and we expect this event to fill up soon. Please register as soon as you can. Calistoga is a lovely small town at the Northern end of the Napa Valley at the foot of Mt. St. Helena. You are on your own for lunch but there are many excellent restaurants and delis in town. There is no fast food - it’s against the law. 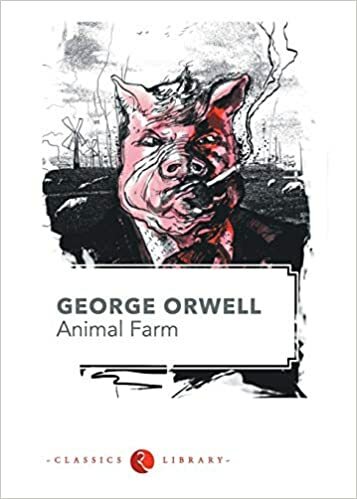 George Orwell's classic "Animal Farm" has been banned in as many as 126 countries around the world. Even the CIA was involved in the filming on the animated movie. It's an allegorical tale of the barnyard animals revolvt against their human master only to establish their own tyranny. It's sure to be a fantastic discusion. We will most likely be viewing the Amazon Prime version of the movie. But with classic movies, it will depend on availability. Plan to arrive around 9:30am. We will have a light breakfast available and our discussion will start at 10am. Our discussion is reserving the last half hour to discuss why we think the book was banned and whether those fears were credible. We will break for lunch and then watch the movie version and have a short discussion on that afterwards. Of course, we will have wine and nibbles to end our day. Cost: $40.00 per person. You may pay by check, credit card or PayPal.